Centerline Production, Inc. has been using innovative techniques and procedures for over ten years. 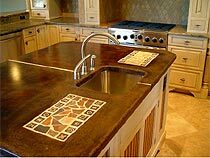 We have now expanded our services to include custom concrete counter tops and acid stained concrete floors. 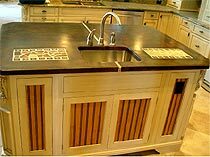 Our recent projects include sophisticated tile mosaics, acid staining, and decorative saw cut patterns.